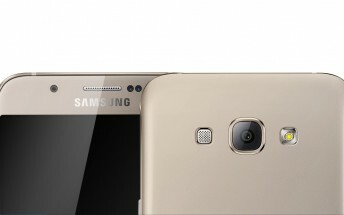 The Samsung Galaxy A8 smartphone, which was announced just last week, will go on sale in the company's home country of South Korea on July 24, according to a report. The device, which is the South Korean company's thinnest phone (5.9 mm) to date, will be available for purchase from SKT for 649,000 Korean won ($563). Color options include white and gold. This comes just days after the handset's Chinese prices were revealed - $515 for the base model and $564 for the 32GB variant. It will go on sale in China later this month.